Last week, Nick Acton, Primary Apple Specialist Trainer and Apple Curriculum Coordinator at JTRS, shared ideas on how to make the most out of Nearpod in the classroom. 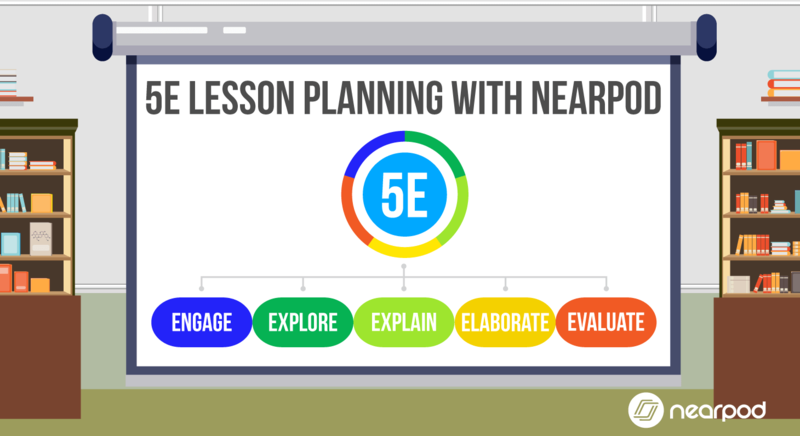 Nearpod is a student engagement platform that can be used to amazing effect in the classroom. The concept is simple. A teacher can create presentations that can contain Quiz’s, Polls, Videos, Images, Drawing-Boards, Web Content and so on. They can also access over 7K k-12 standards-aligned lessons. The children can access a teacher’s presentation through a code. The teacher can move the class through the presentation and let them interact with the media as they go. They can also opt for student-paced, where the student controls the flow of the lesson. The app is ‘web-based’ and is accessible on a ‘log in’ basis. 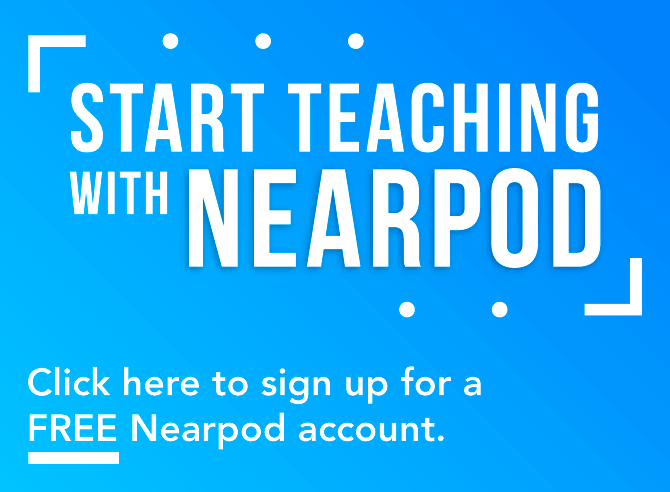 This means that you can access your Nearpod account through any device that connects to the internet. The nice thing about this is that you can run and, more importantly, create your presentations on a computer. In this case, the iPad is just the tool to deliver your Nearpod creations with. Ultimately, the real beauty of this app is that it enables you to connect with your students (digitally that is). 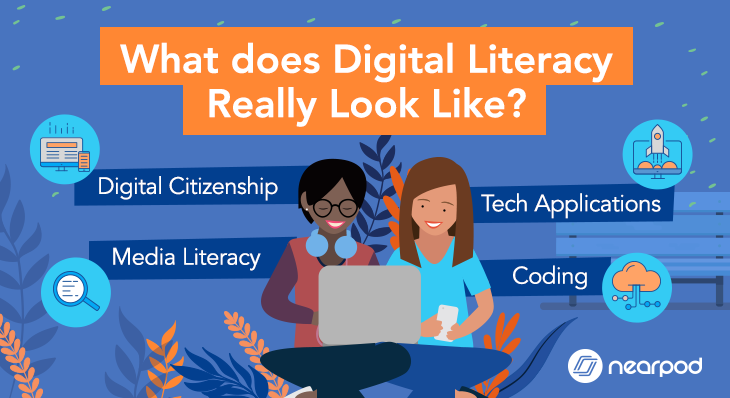 This connection and the flexible nature of Nearpod means that it can be used in many different creative and innovative ways. Below are just ten ways of utilizing this multifaceted tool. 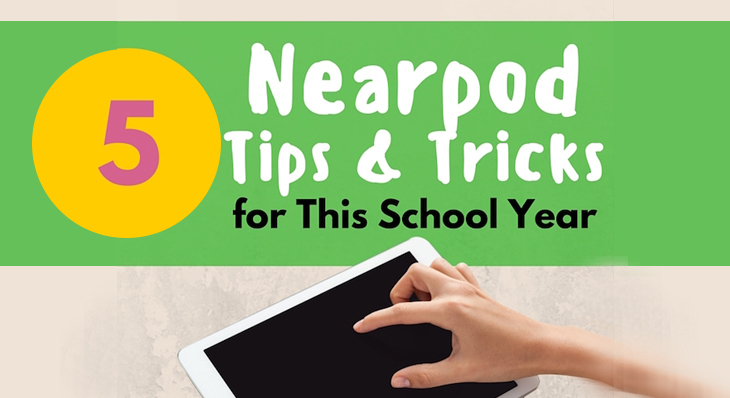 At it’s most simple, you can use Nearpod as a substitute for other presentation tools. Instead of running a Powerpoint or Keynote you could utilize this app instead. The presentations will be beamed to each iPad in the classroom. This instantly makes it a far more superior presentation tool. You do not have to rely on pupils being able to see the board. The children can even use pinch gestures to zoom into key areas of their screen whilst a presentation is being displayed on their iPad. You can even ‘drag and drop’ Powerpoint slides into the app for it to instantly create a Nearpod presentation. Using the app to distribute resources is another simple way of using it in the classroom. You could fill your presentation with images or worksheets and ask the children to save the resources by taking screenshots. This will automatically save the shots to the iPad’s camera roll. The children can then use the images within other apps or simply keep them at hand as teaching and learning references. It’s just a simple way of connecting to your class’ iPads. The app can become even more useful if you insert a ‘Quiz’ into your Nearpod presentation. As a teacher, you can create customized quizzes that can be used as assessment tools. The children are instructed to type in their name’s before engaging with a quiz. The teacher’s iPad is then faced with the ongoing progress of the class in an ‘easy to analyze’ table. This assessment data can be read on the fly, whilst the children are engaged in the test. In other words, you can gain a good idea of the classes overall understanding within any given subject straight away. Why not utilize the quizzes in Nearpod throughout a term to ascertain ongoing assessment data? 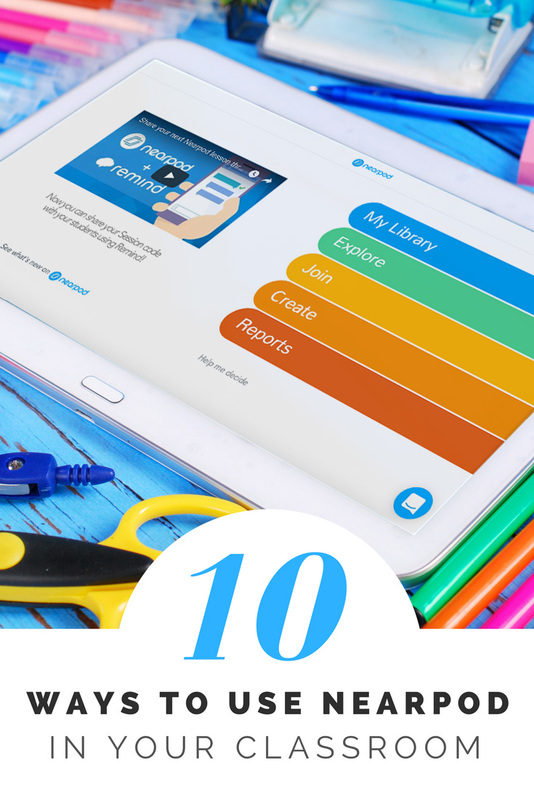 When the children have finished a quiz, Nearpod will automatically create a report for you. You can access the reports directly through the app and download the data as PDF overviews, CSV files (to be embedded in Excel) as well as reports on individual students. This really helps you to gain a completely comprehensive understanding of your class’ ongoing progress. It takes the marking out of your hands and does it for you. It is common practice in Primary and Secondary schools for children to assess themselves and evaluate their own confidence levels. This is usually achieved through a traffic light system that children are encouraged to draw in their workbooks. Red indicates a poor confidence level, amber indicates a fair understanding and green indicates a very good understanding of any given learning topic. Nearpod contains the option of inserting a ‘Poll’. In this situation, children’s opinions are questioned. This makes the ‘Polling’ tool a perfect feature to use when ‘traffic lighting’ in the classroom. The information is then saved in the aforementioned reports! The app also has a feature called ‘Draw It’ that can be built into your presentations. This beams an interactive whiteboard to the children’s devices. The teacher’s iPad will display all of the children’s ‘drawings’ when they have finished and submitted them. The teacher can then ‘share’ individual whiteboards with the entire class. Hitting share will cause the chosen ‘drawing’ to appear on every iPad. This enables teachers to share good work and model good progressions. 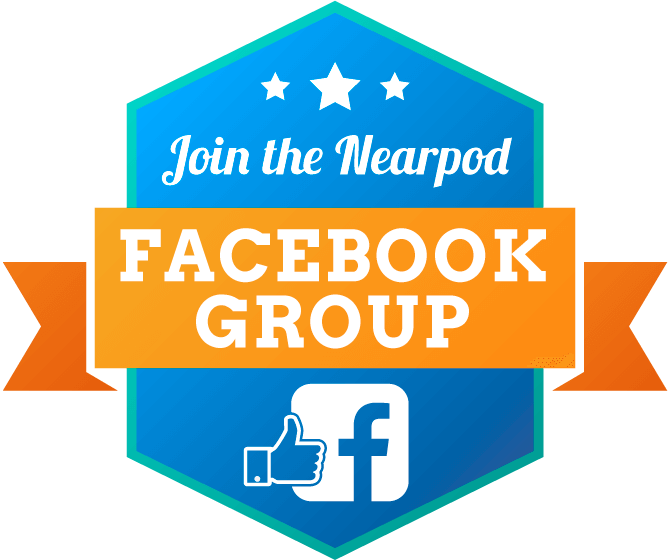 You might be thinking that Nearpod is a very teacher driven tool. The app supports you to guide the children along and control the pace of the session. 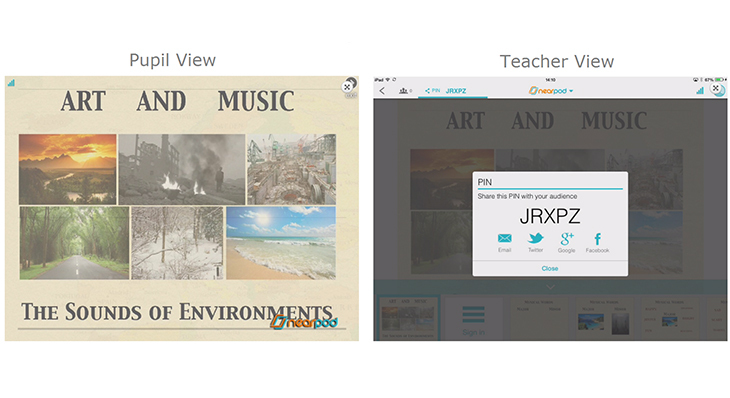 However, a couple of features within Nearpod allow for creative flexibility. The ‘Draw It’ feature can be less directed. However, the ‘Open-Ended Questions’ feature is perhaps the most creative avenue available to children within the app. The teacher can pose a question or set up a scenario for the children to write about and let them fly with it. With this tool, you could facilitate creative writing tasks. The advantage of using something like Nearpod for this kind of activity is that the ‘Open-Ended’ answers are then automatically logged in the reports. All of the above examples revolve around the idea of using Nearpod in a ‘Live Session’. Children can also engage with the presentations in their own time. You can provide a ‘Homework’ code to the children and they can access a pre-made presentation at home. Again, this feature is built into the app. 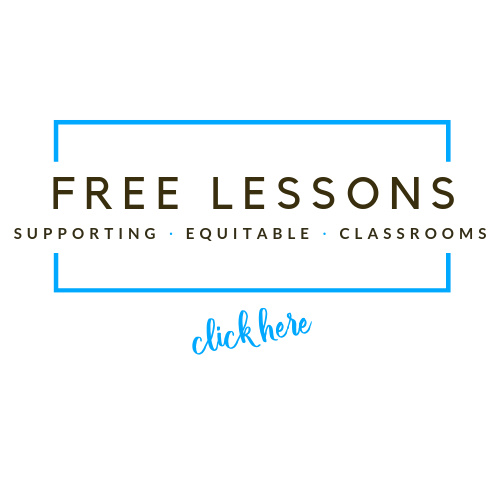 It’s worth remembering as well that Nearpod is ‘web-based’ and therefore, the children go on Nearpod.com and complete the homework on their home computer or even any smartphone. 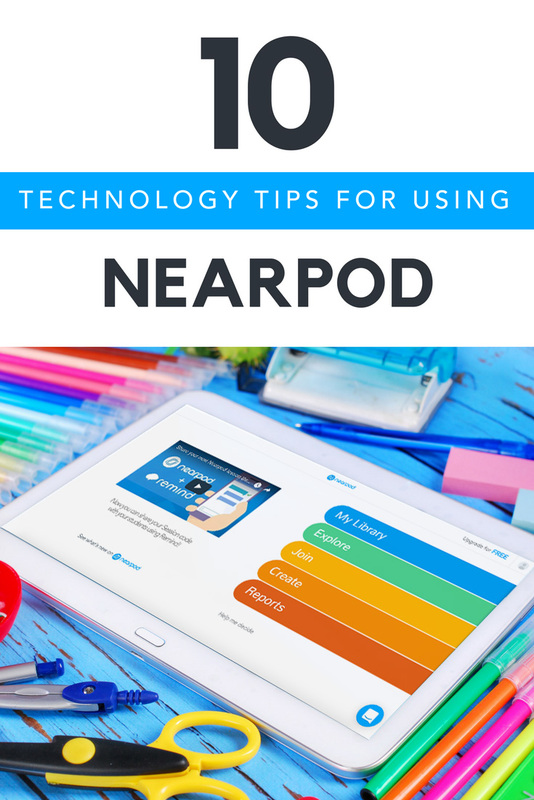 Nearpod is one of the many essential iPad apps that I would recommend to any teacher. The customizable nature of the app means that it can be applied to any age range and teaching context. It requires you to put some work in before you teach the lesson. However, it makes up for it by saving you stacks of time after the lesson through its clever report generator. 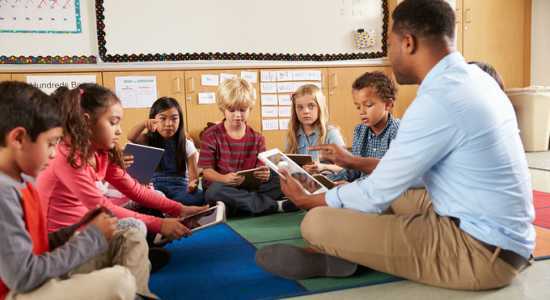 Many teachers have concerns about using an iPad in the classroom for the first time. Delivering a Nearpod presentation is a nice way of easing a concerned teacher into the world of iPadding. It’s as useful as it is simple to use. I’m sure you’ll find more than ten ways of using it to amazing effect.